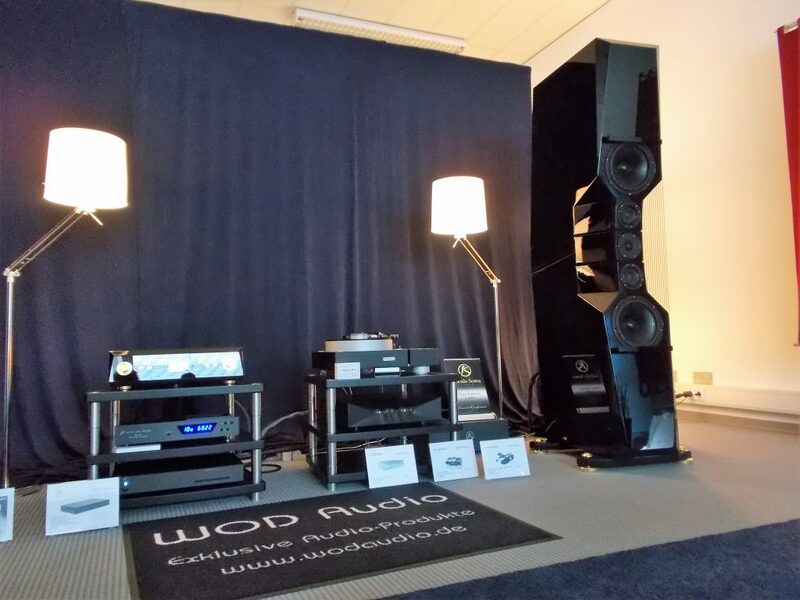 As the year goes by, the third and the last report of the Munich Highend 2017 show. No such thing as something being unadulteratedly “good”: no such quality that all good things would have in common as opposed to things that are not good. And if that’s true there’s no such thing as something being unadulteratedly better or best. Different things (objects, state of affairs) are good only “in different ways”. 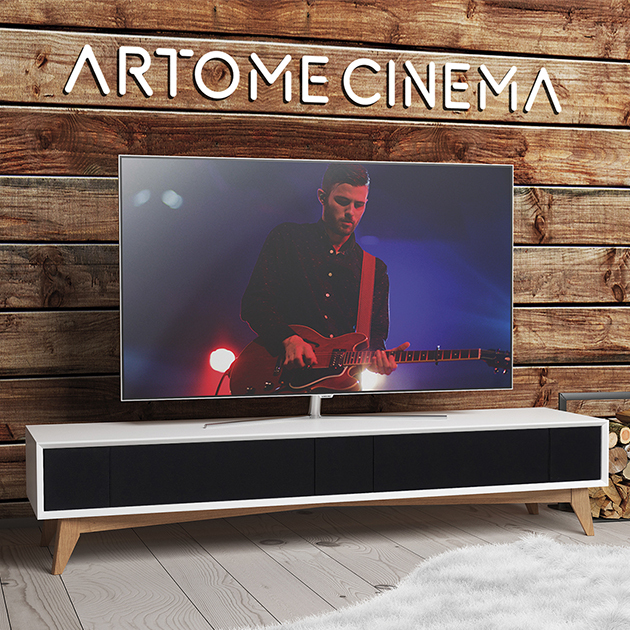 A hammer in its own way, and a Hi-Fi system in its way. Both can be good as “good to look at”. Both possess technical goodness, although of different kind. 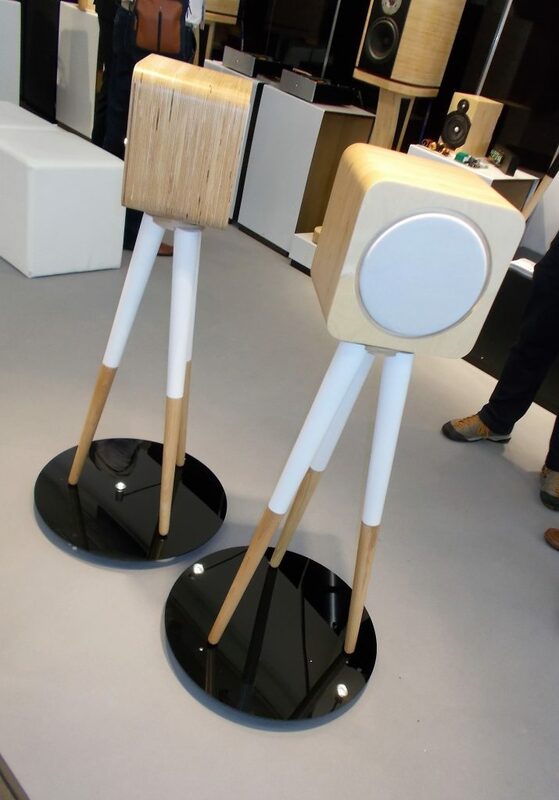 A hammer can make a sound, but only the sound of a Hi-Fi system is good as “good to listen to”? What does it mean to be “good to listen to”? 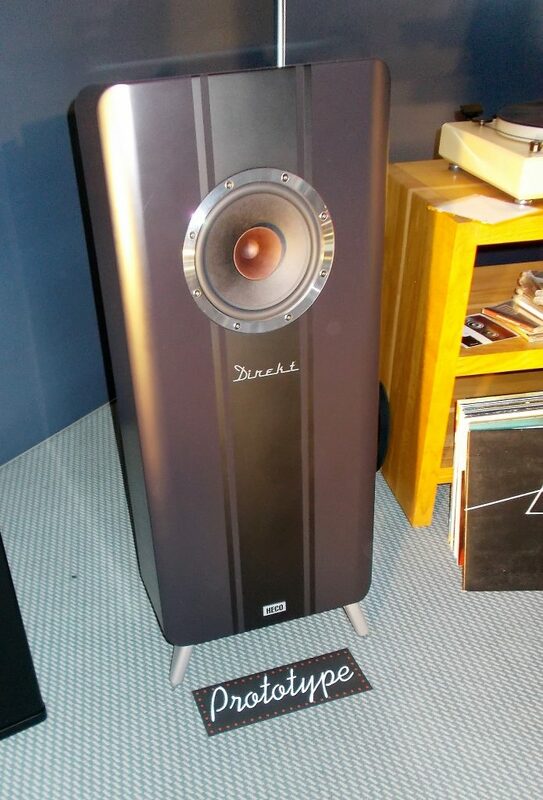 What a hammer is “good for” (useful) is rather obvious, but what exactly is a hi-fi system good for? Not a bad question. 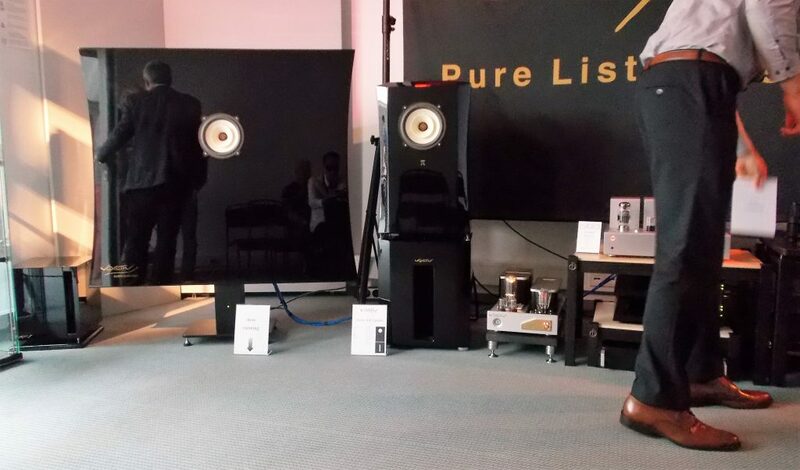 This year at the Munich Highend Show there were a number of systems with a positive value to my ears, but of which I didn’t manage to take a decent photo. 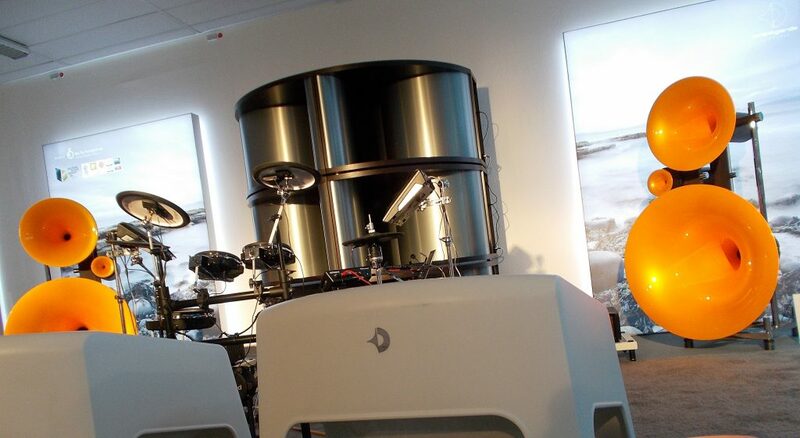 Zu Audio, for example, always has an elevating stimmung in their room, and music worth paying attention to. I liked what I heard in the Triode’s dark room but, well, it was dark. A mighty system, anyway. And so and so forth. Beautiful. Luxurous. Glamorous. 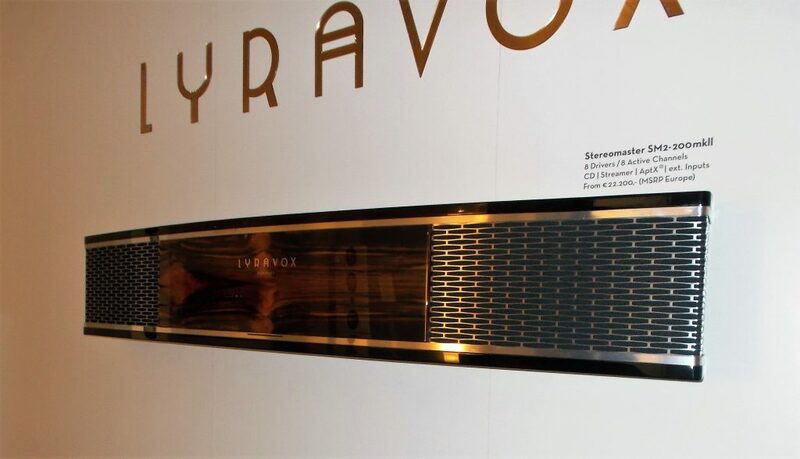 I’d be surprised if there were no niche markets for Lyravox’s shiny Stereomaster all-in-one loudspeakers. 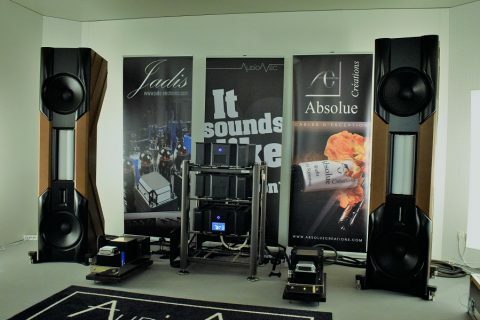 The new 2m wide SM2-200 mkII sports long-throw 8″ woofers in a sealed cabinet, Scan Speak legendaty 18M Relevator in the middle and the new Scan Speak Beryllium tweeter, crossed and EQ’ed with dsp and powered by eight digital amps. 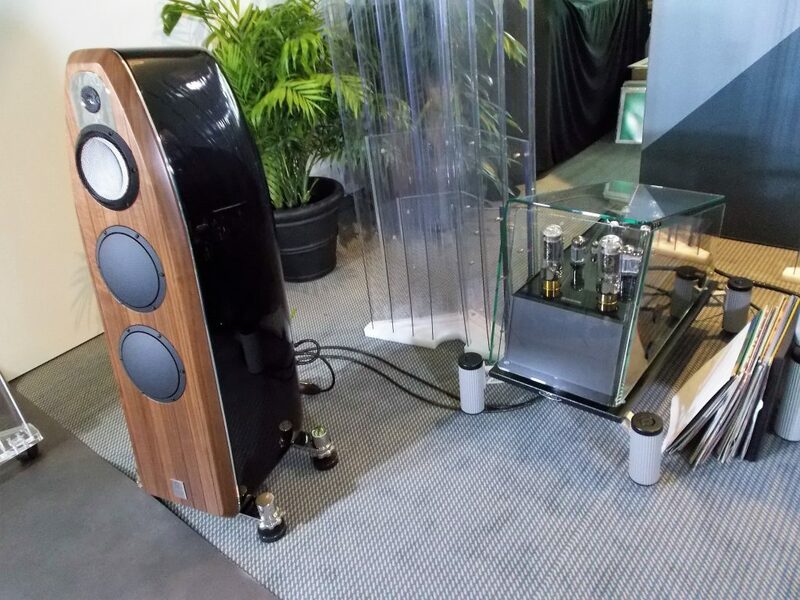 Teac CD player is also included as well as optional surround speakers. The price 22000 euro. Not many omnis around. 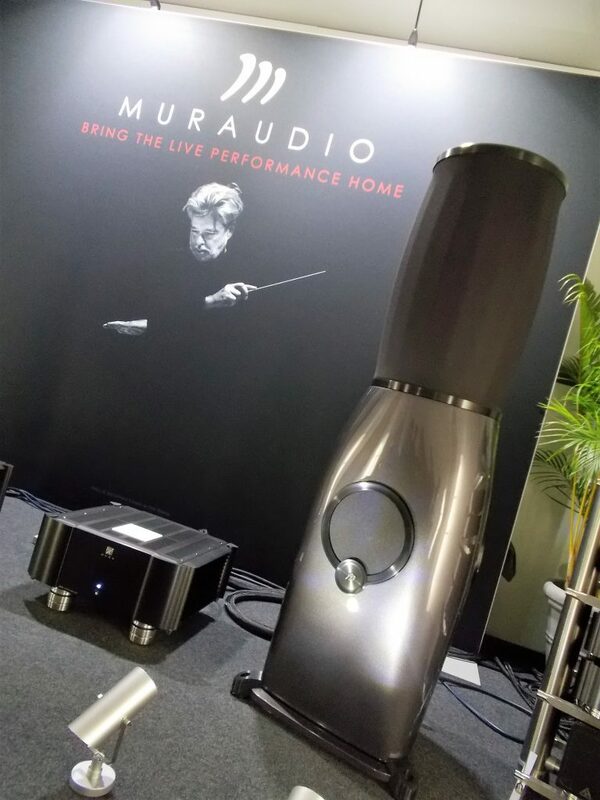 Fortunately, one of the best omnis currently was present: Muraudio PX1, an electrostatic unit on top, a dynamic element underneath, and the huge, yet intelligible soundstage. 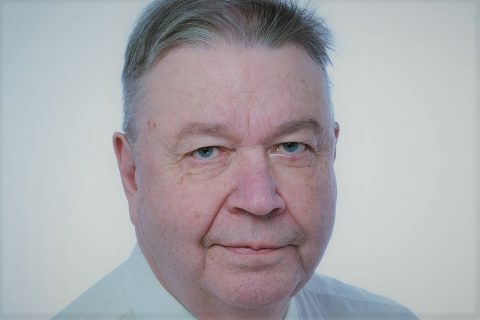 Jukka-Pekka Saraste conducting. 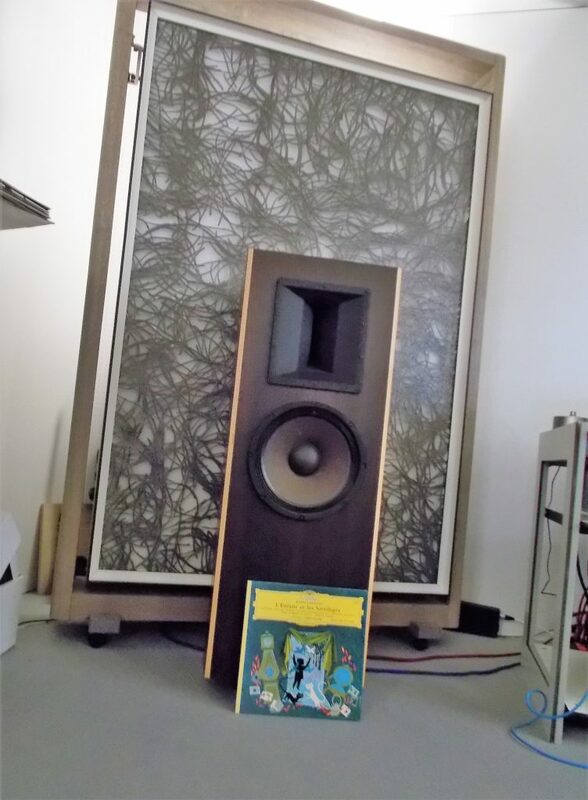 von Langa’s Audio Frame Chicago speaker with the home made Western Electric 755 as the midrange driver. 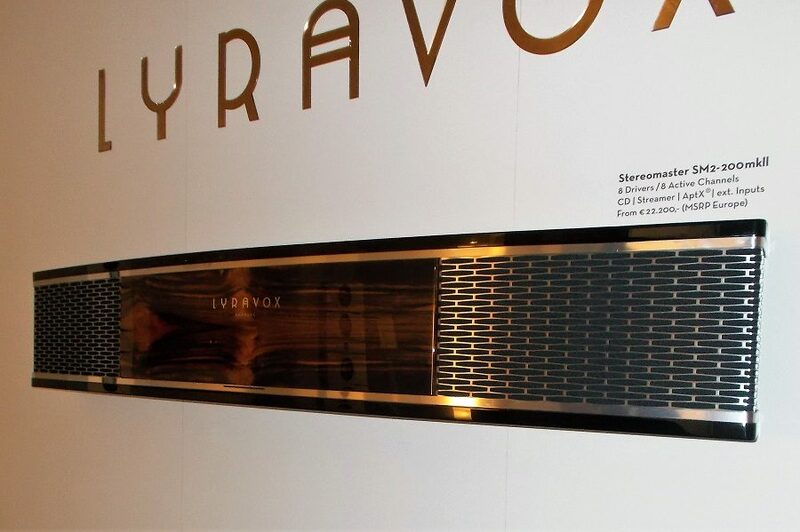 In addition to being intelligent (based on Intelligent Audio technology) Estelon Lynx is, apart from the power cord, a fully wireless speaker. 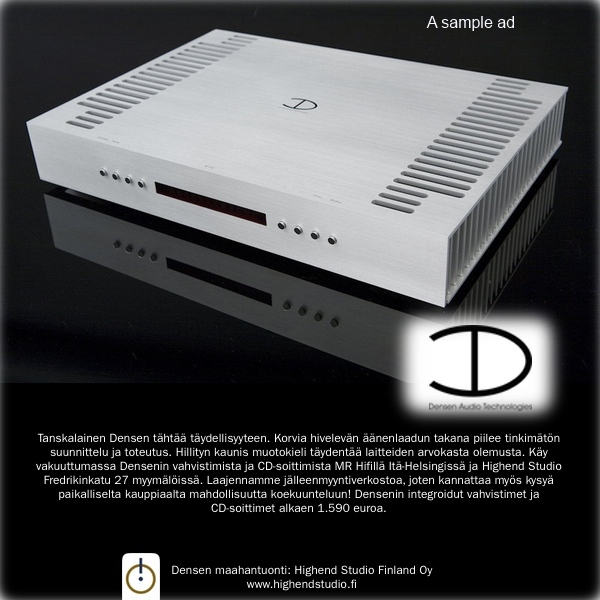 The Signalyst HQPlayer converts the incoming data into DSD64 stream and the DSD stream runs directly the speaker with the low-past filtered analogue signal. Just the source and the Estelon app, and that’s it. 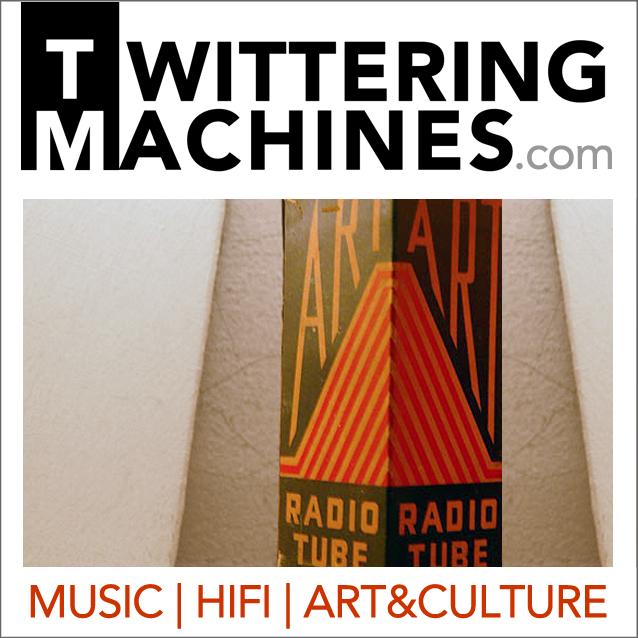 The app also allows the height adjustment of the tweeter/midrange tower. 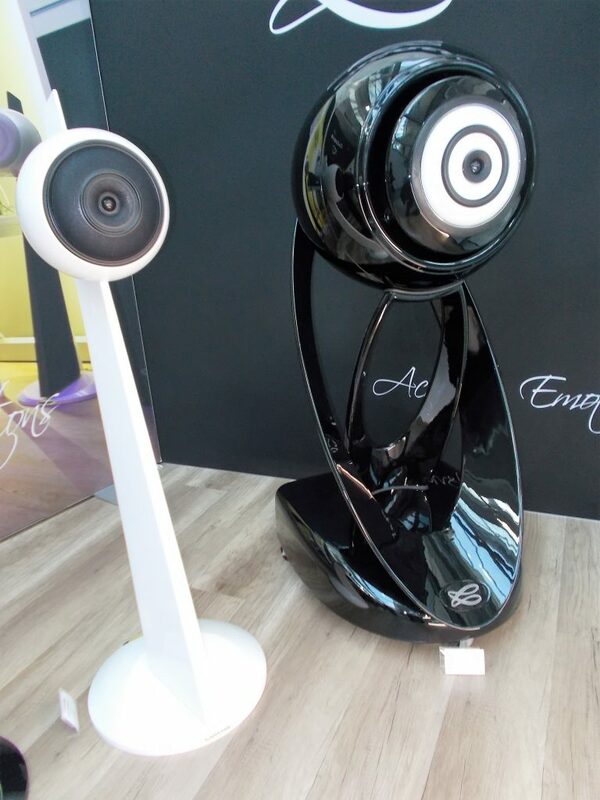 Aequo Audio’s speaker looks good, but more importantly, its form slavishly follows the function. Near field. Makes sense. Headphone listening without headphones, and the sound still having a direction. Sobetzki’s electrostatic satellites. 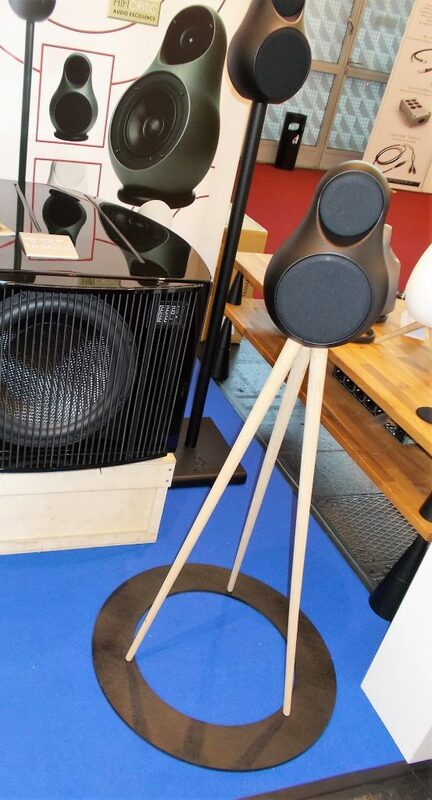 The recommended listening distance 60 – 100 cm. The response 37Hz to 20kHz. 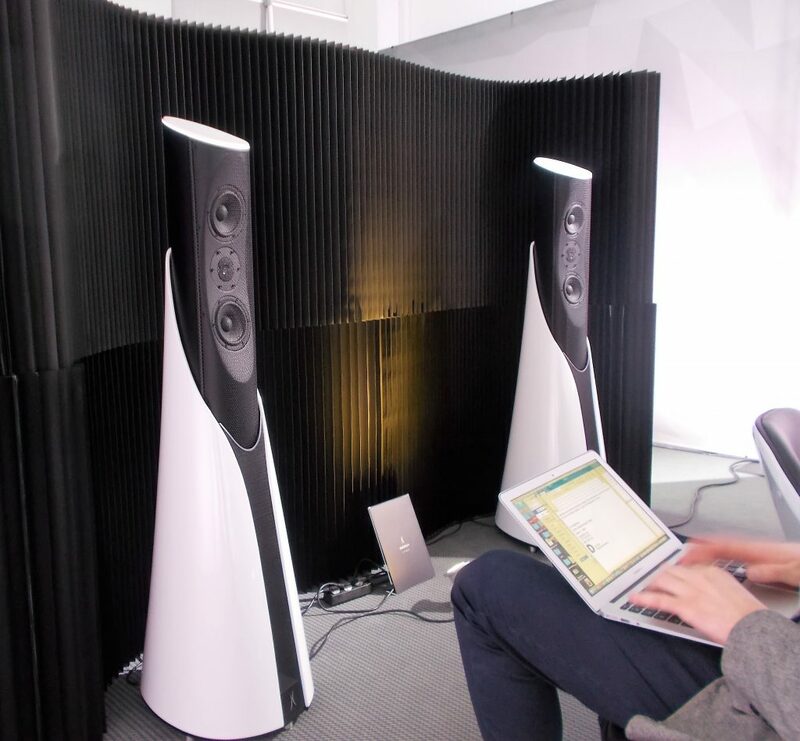 Talking about single-driver speakers, Voxativs are along in their own right. A very unique sound even among widebanders. 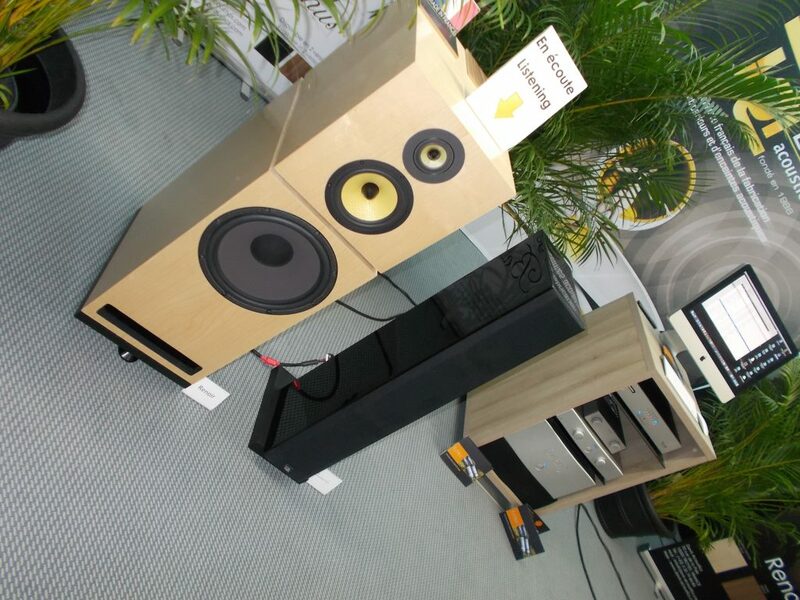 J Sound’s Horus speakers with the rear loaded AER 8 incher. 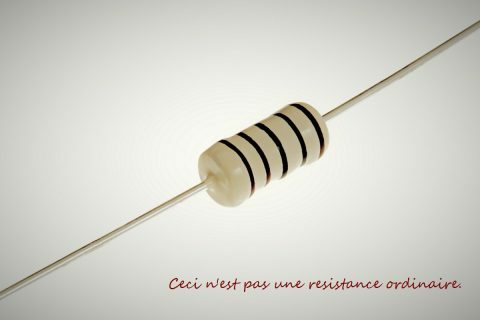 99dB with 1 watt, and 16 ohms for an easy amplifier load. Oliver & Hardy. 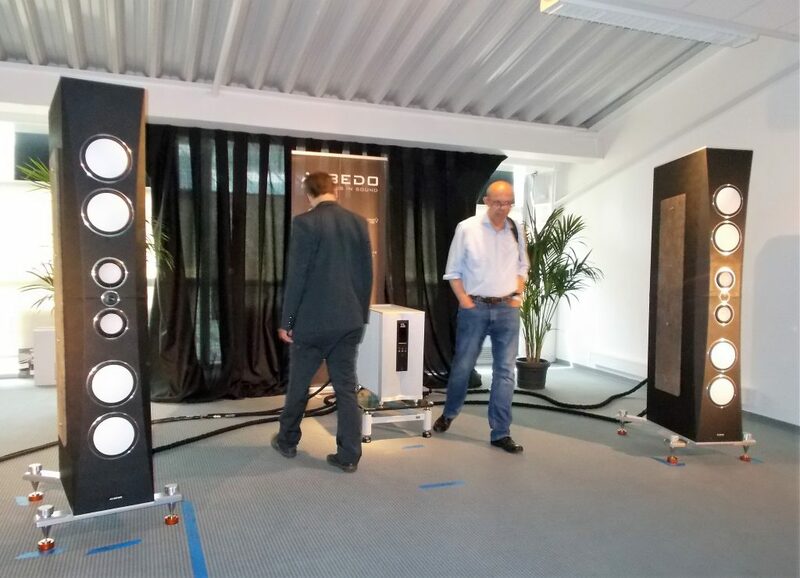 Serious single-driver loudspeakers with a full-range sound. 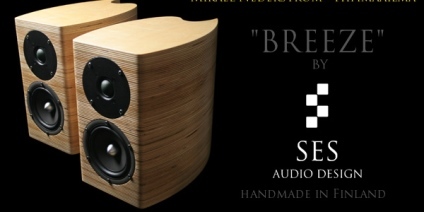 RD Acoustics Evolution side by side the smaller Euphoria. First, the cool Heco Direkt, then the grand Heco Direkt Drieklang, and now Heco Direkt Einklang, a one-way with Heco’s own 8 inch widebandwidth unit. The argument: better suited to smaller rooms. 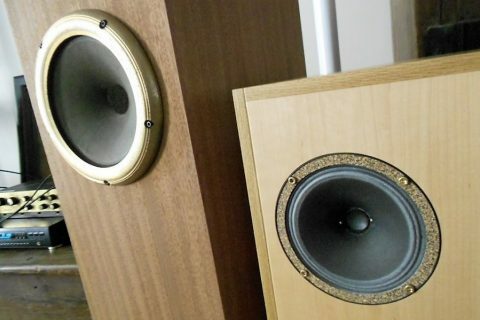 I’ve found that in every show there are one or two systems/speakers that do not draw attention by their modest and conventional appearance, but whose sound quality is first-rate. 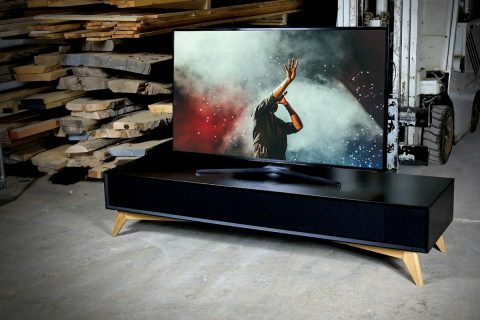 Manger Audio is a good example: its reasonably sized speakers emit timeless elegance, but their real strength is the highly competent and competitive sound world. Here’s P1 under scrutiny. 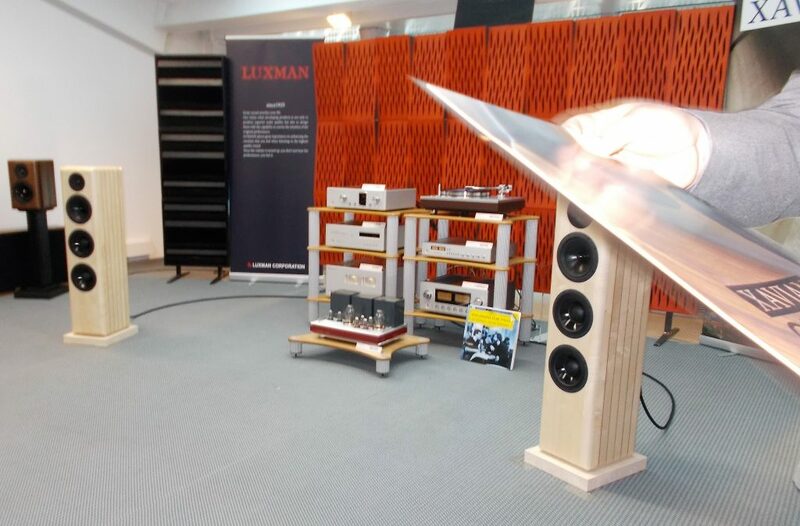 Luxman with its newly made stereo equipment drove Czech-made Xavian loudspeakers with great results, a way beyond their ordinary looks (certainly by the Munich Show standard). 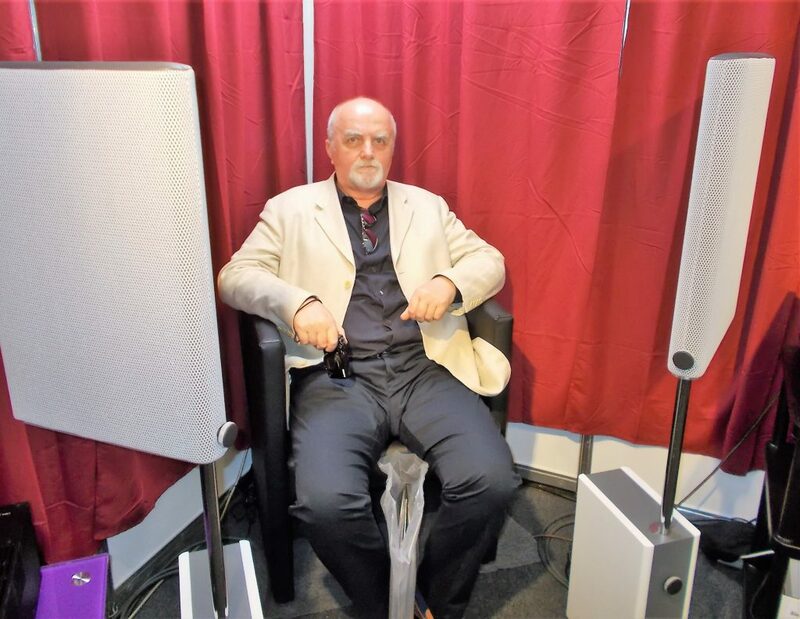 In addition to Focal, there were a number of high quality, technically advanced and good-sounding French speakers nobody really seems to care about. 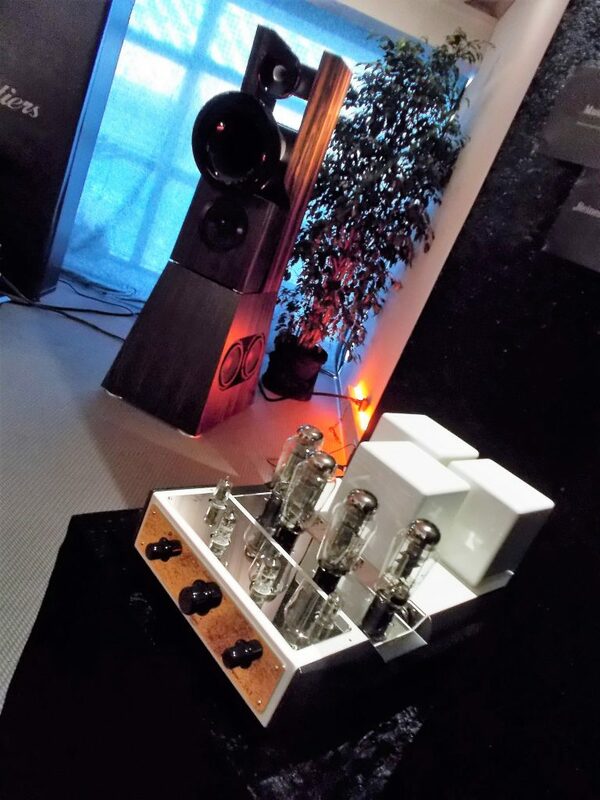 I mean brands such as Apertura, Triangle, AudioNec and Davis (in the pic). 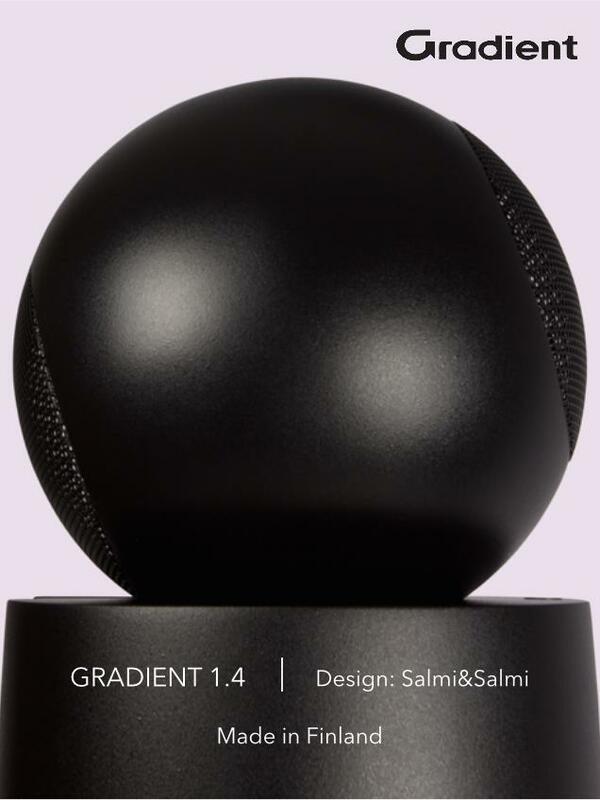 Gabasse’s spherical L’Ocean speaker sports the new Tri Coaxial Aramid driver for a better controlled directivity. If it’s not a widebander, then it must be a horn speaker. 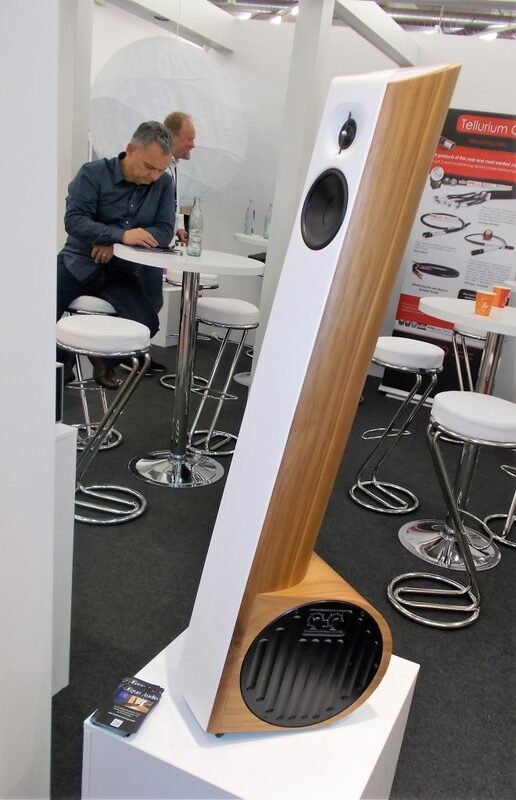 Tune Audio’s Avaton is a fully passive, 105 db sensitive 3-way for longer listening distances. 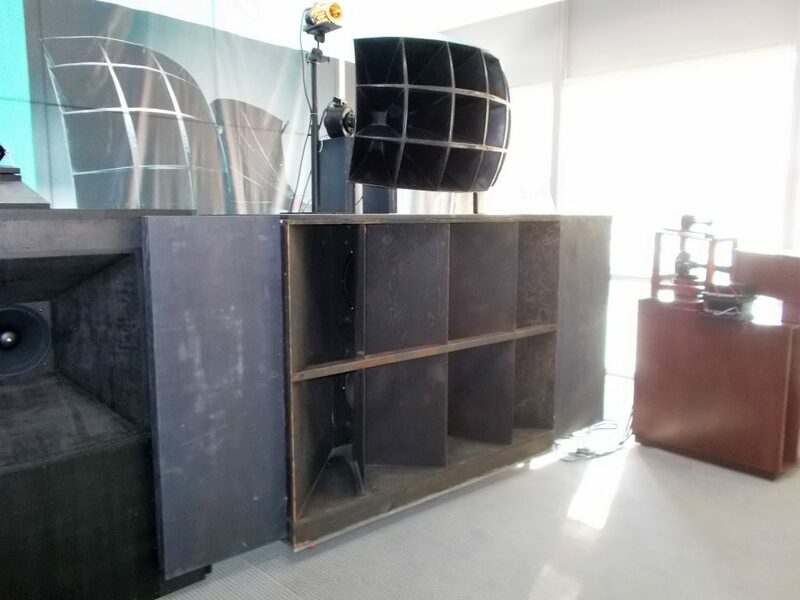 The bass from a 18″ woofer is said to stay smooth down till 32Hz, while the low-mid horn (with 10000cm2 mouth area) is mildly crossed at 1200Hz for the adjustable Anima tweeter. 3 watts should make it. 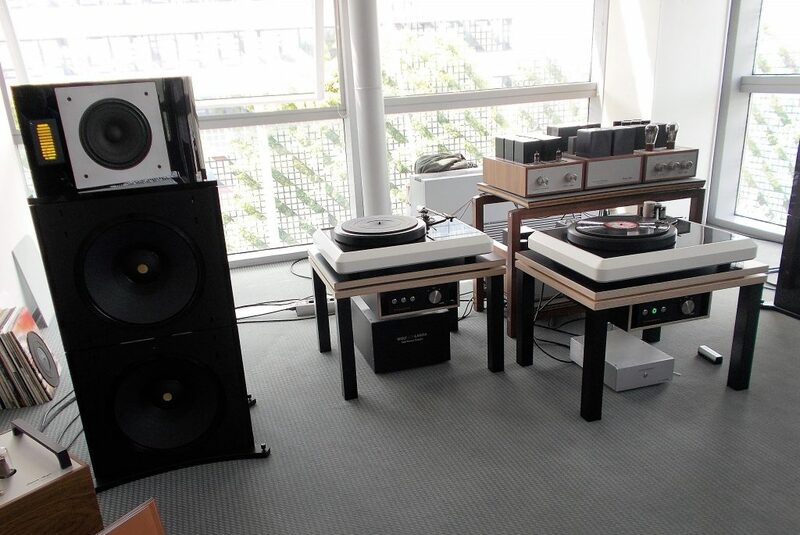 In a way this image tells everything that the highend hi-fi is about, fundamentally. Tubes & horn. Techniques from the past, sound from the future. What else one can ask? And all respect to solid-state, digital technology. 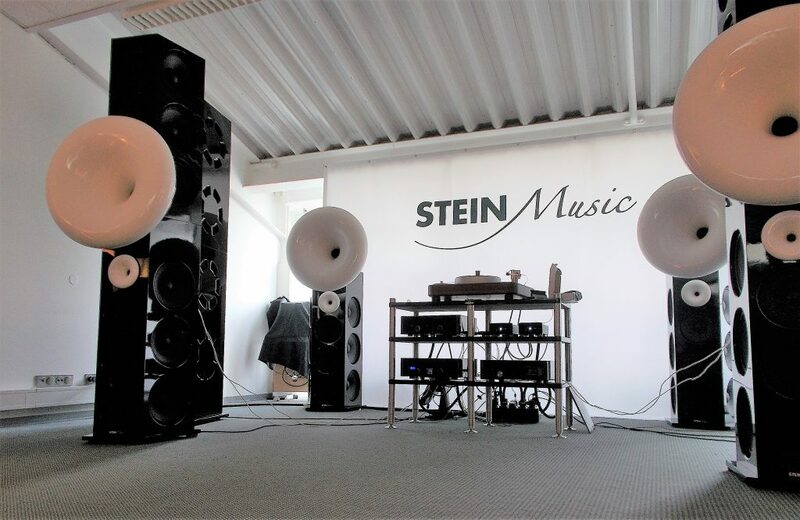 Stein Music’s huge horn section with multi-unit towers. Bold. Avantgarde’s colorful Trios with carefully studied horn profiles. 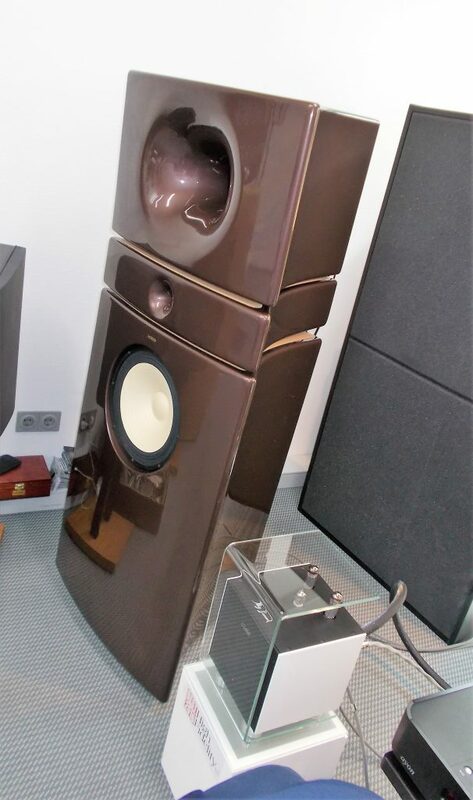 hORNS’s Universum 3-way (last year) is a very good-sounding loudspeaker but people may find its outlooks slightly controversial whereas this 3-way, hORNS Opera, with a 120 litre composite bass cabinet has a more familiar looks. Sounds fine too. Can go loud, but that’s not the point here. 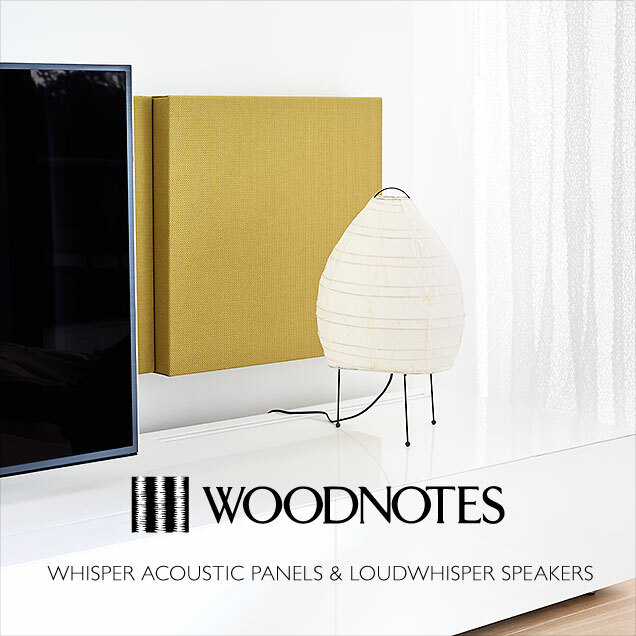 An effortless, uncomplicated, and straightforward, honest sound. That’s the point. 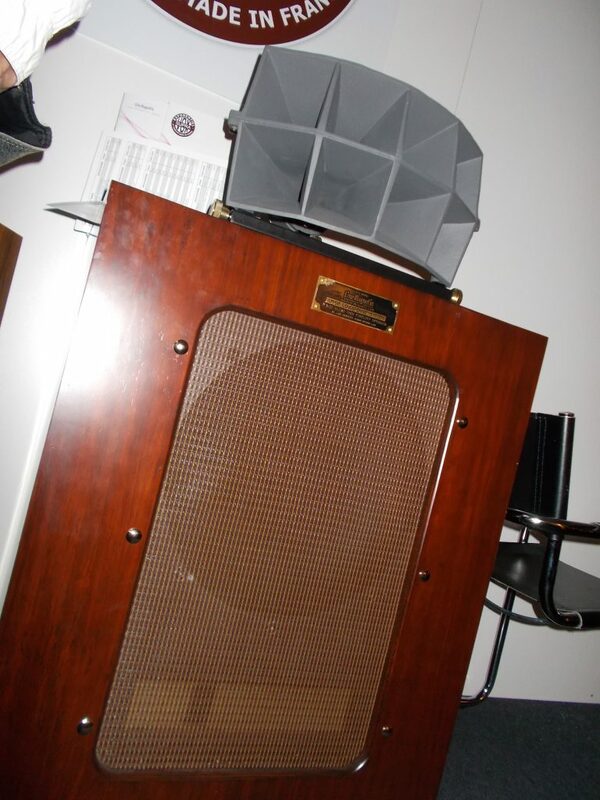 The Mirrophonic speaker system from the mid 1920s. It’s astonishing and surreal what sound quality movie goers could enjoy almost 100 years ago. The impossible ones. Many would not take these even if given for free. Huge, heavy, impractical. Sickly expensive. But impossibility is an essential part of any true highend show (car and fashion shows as well). Inaccessibility. 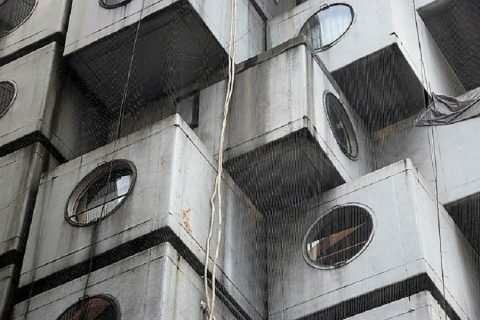 From the other world. 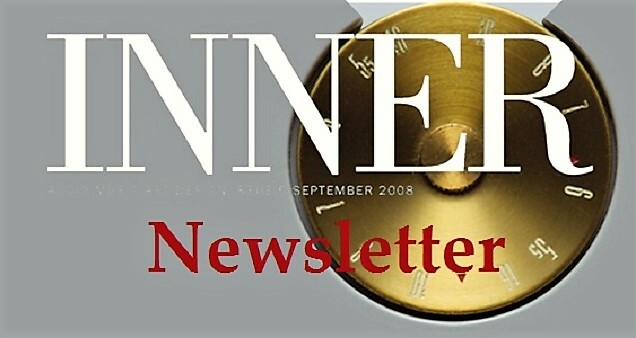 The opportunity to cry “crazy!”, and shake head in vague admiration. Here’s WOD Audio’s room with unknown monsters, and a very refined source department. 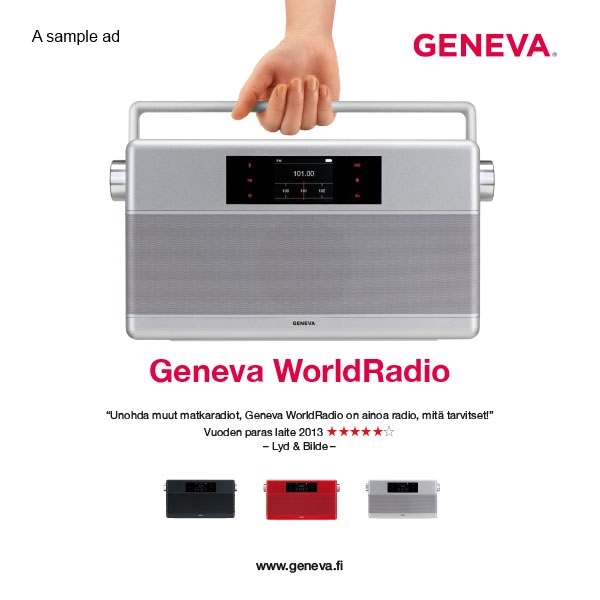 The Italian Albedo Atesia, a three way tower with transmission line bass loading, ceramic drivers, time coherent crossover and the unique Albedo design. Powered by VTL. 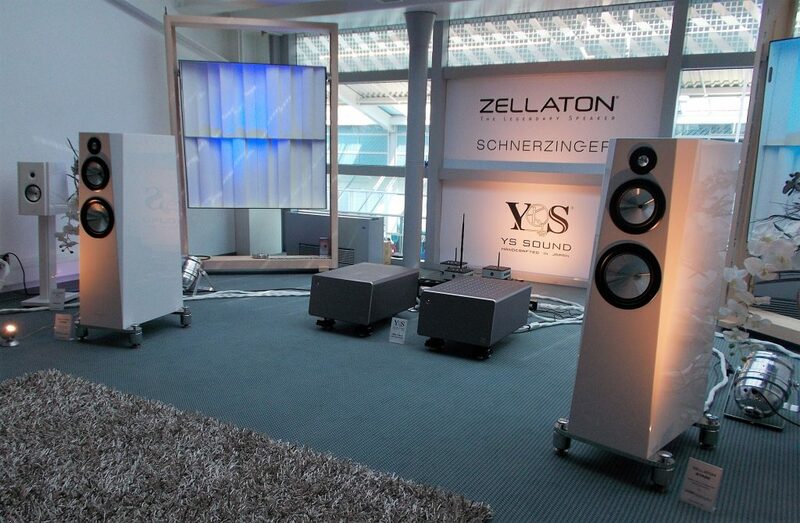 Elegant simplicity: Zellation speakers caressed by YS Sound electronics. 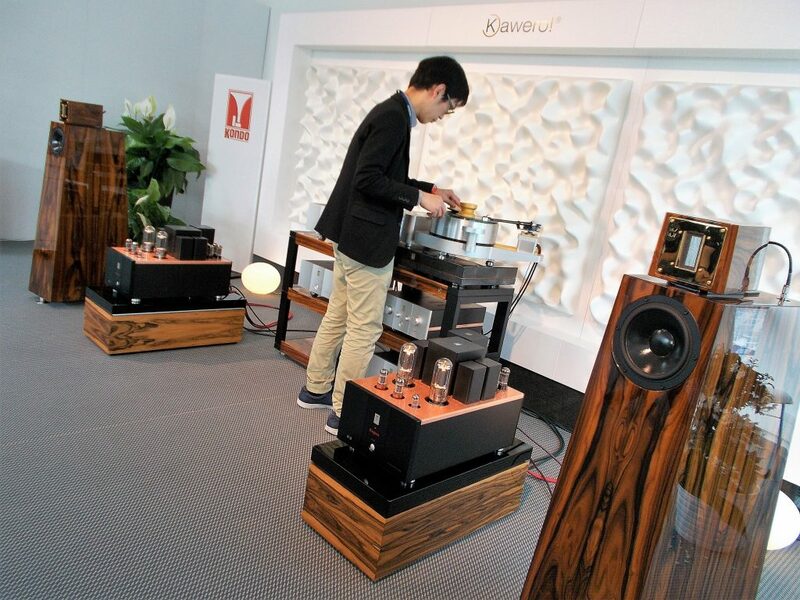 I’ve heard Kaiser Acoustics’ Kawero Classic loudspeaker with Absolare and now with Audio Note Japan’s Kondo amplification, and both times they sound fabulous and intensely musical without being too extrovert. 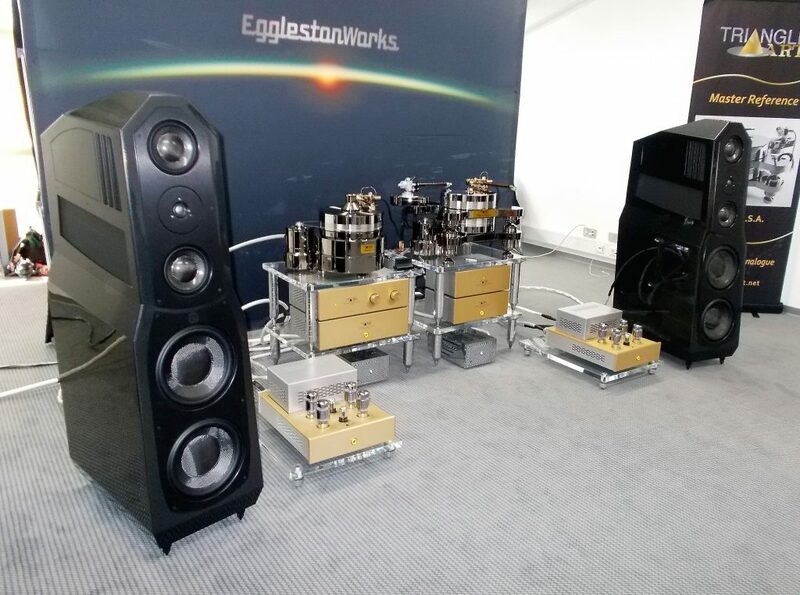 Egglestonworks speakers with Triangle Art tube amplification and turntables. 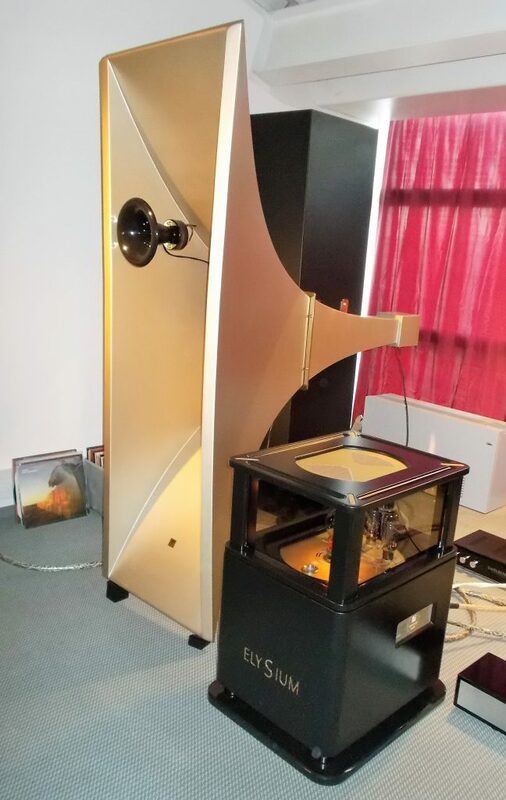 Marten Tenor 2 with Engstrom ERIC, a 70W mono block power amplifier with two separate power supplies and KR’s modern T-100 triode as the power tube. Anybody that’s using Ravel’s one act opera L’enfant et les sortilèges: Fantaisie lyrique en deux parties (The Child and the Spells: A Lyric Fantasy in Two Parts) from 1917 – 1925 for a demo music wins my recommendation. My favorite room the second year in row. 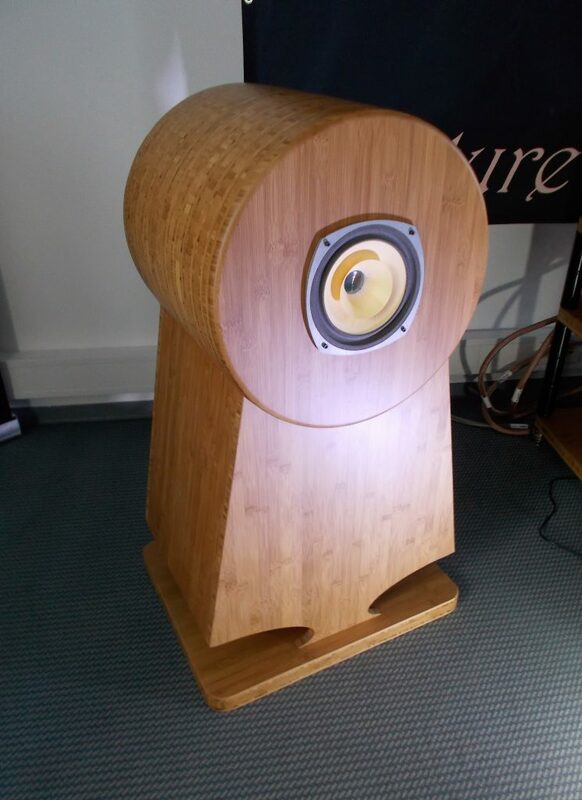 The famous Lansing Iconic mono speaker now by Line Magnetic (LM-812). Would have loved to hear this. 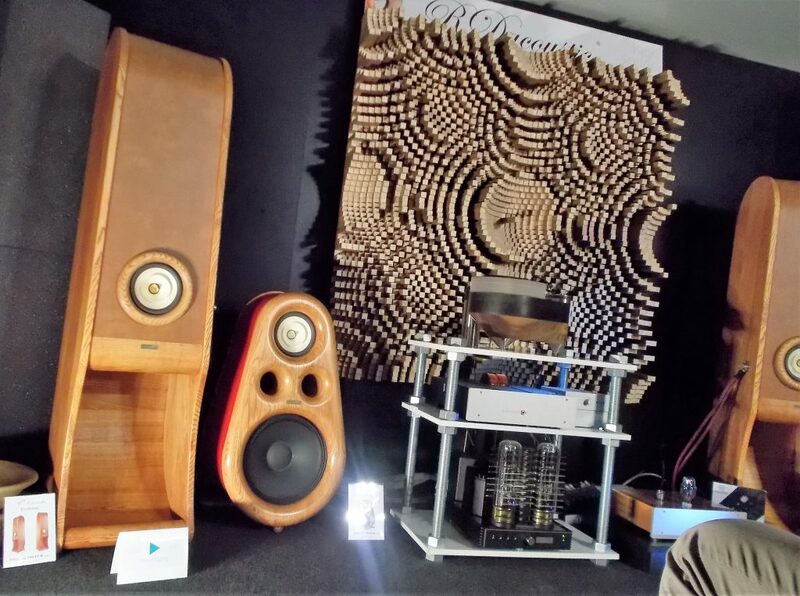 Too much sound for the little room said the exhibitor.